Peel Garage Doors is your locally owned and operated garage door repair company in Brampton that specialize in commercial and residential garage door installation and repairs. With a team of highly trained and experienced professionals, we have built an industry reputation by providing best-in-class services in Brampton. Since we offer 100% customer satisfaction, our clients can rest assured that their issues will be dealt quickly and competently. 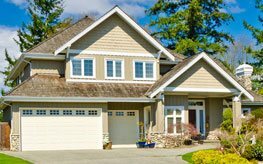 We are here to install and repair the broken springs, cables, off track doors, and every thing else that goes with a garage. 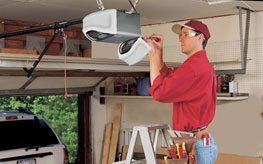 Our garage door specialists are well trained to deal with every aspect of overhead door issues, so you can count on us to do a great job every time. 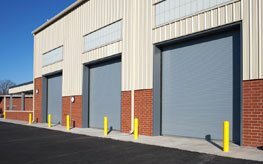 Contact Garage Door Repair Brampton today to schedule a repair or maintenance service for commercial or residential overhead doors. Our service technicians are available 24 hours a day to provide same day responses. 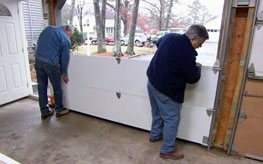 Our team is highly skilled and has right tools/techniques for reliable and effective garage door repair. We have one primary aim always – customer satisfaction. Our services all converge on this one single principle. Peel Garage Doors offers full range of garage door repair, maintenance and original spare parts. Why Choose Peel Garage Doors? We have a reputation of providing quick same day service to the local Brampton residents. Our entire team of garage door repairmen is certified and bonded to deliver the garage door services. From Clopay to LiftMaster, there is no brand or mode that we cannot repair or service. We always aim to deliver specific solutions to all our clients for a customized experience. We are the local experts in garage door repairs and installations. You can choose from the finest garage doors from various brands and makes. Whether it Wayne Dalton, Stanley or Garaga, we give your home the style statement it so deserves. Don’t fuss or stress about the swing garage doors! Our annual maintenance packages are meant to ensure they perform with optimum efficiency in the future as well. Don’t forget to schedule yearly maintenance program to solve the problem before it even becomes a problem. Overhead garage door won’t open? Garage door off its tracks or wedged? Electrical Opener is not opening the garage door?